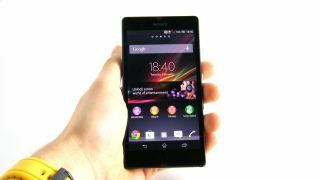 The Sony Xperia Z is already a TechRadar-recommended smartphone, but the Android device's interface may get even better thanks to a report that says a Google Nexus edition is on the way. Sony and Google have teamed up to develop a Google Edition of the LTE-equipped smartphone, according to anonymous Sony sources who spilled the goods to Android Geeks. The Google Nexus version of the Xperia Z is speculated to run Android 4.2.2 Jelly Bean, a step up from the phone's current Android 4.1 version. Google could also use the water-resistant and dustproof phone as a way to demo its expected Android 4.3 OS release, but that remains speculation. The Sony Xperia Z Google Nexus, if the report is accurate, will cost $599 (about UK£393, AU$621) in the Google Play Store after it is announced in July. While that's a steep price, it won't have a two-year carrier contract attached to it, just like previous Nexus phones. The Xperia Z would join recently Nexified phones like the HTC One and Samsung Galaxy S4 in running a stock Android operating system at a contract-free higher initial price. Sony and Google have not responded to TechRadar's request for a comment on the as-it-stands unconfirmed Nexus version of the Sony Xperia Z, but we will update this story if when the companies get back to us.